Kludge lying to Baron Sir. Don't get whiplash as we switch back and forth between the garage and the inn! 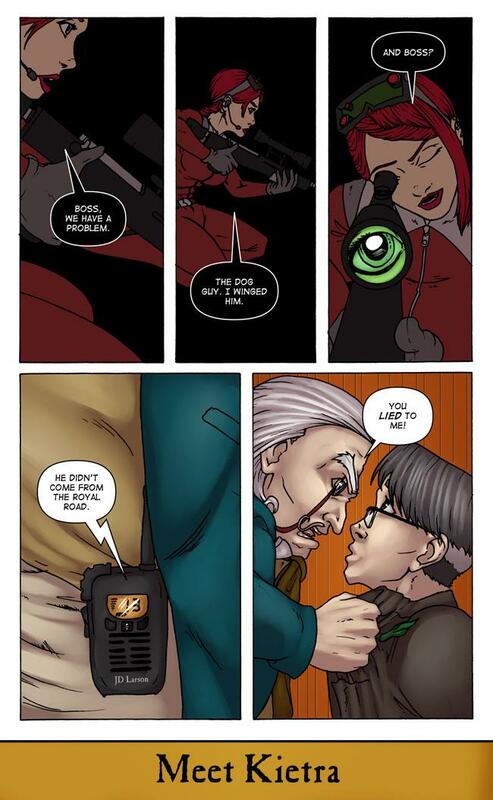 Kietra was one of two Kickstarter backers who paid to be a villain in this chapter. In this case, she picked being a sniper. Anyone spot the Doctor Who reference on this page? Here's a hint. Last panel. And this time, it is not Baron Sir's uncanny resemblance to a certain Time Lord.